I love jogging or walking out with my kids but I am tired of holding my phone and keys in my hands or pockets all the time. My blackberry phone and keys are heavy and makes walking uncomfortable. 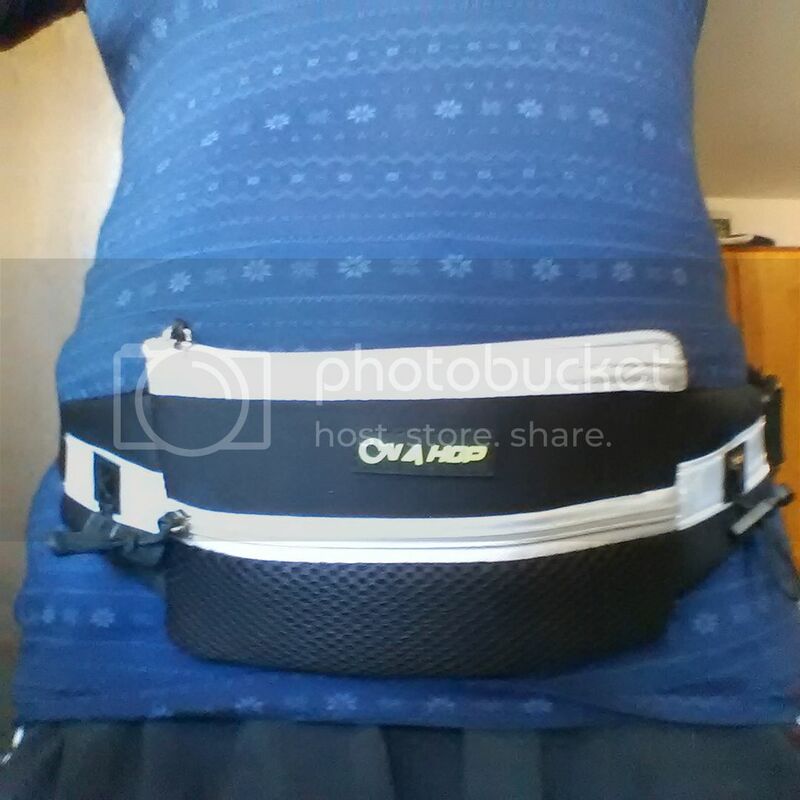 So glad I was offered to review a Running Belt With Water Resistance Pocket from onahop. 1. Hands free running- the pocket is 7.3"x 4." and can fit all smart phones, cards, keys and hygiene items. You'll be able to run or exercise hands free without worry of your personal items security. There's a hole at the back of the pocket for the headset if you love listening to music while working out. 2. Water resistant-made from polyester neoprene material makes it water resistance from rain, spills and sweat. 3. No bounce adjustable straps- the strap was made to adjust 30"-44" snugly adjust to waist or hips. What I think about the product? This belt is great when you are running or walking. I love going out for a short walk with my kids. I find it uncomfortable to walk when I have my phone and house keys in my pocket. They are heavy and was pulling my pants down. The belt solved that problem and now I was able to walk comfortably. I was able to fit in my blackberry phone and 4 cards. 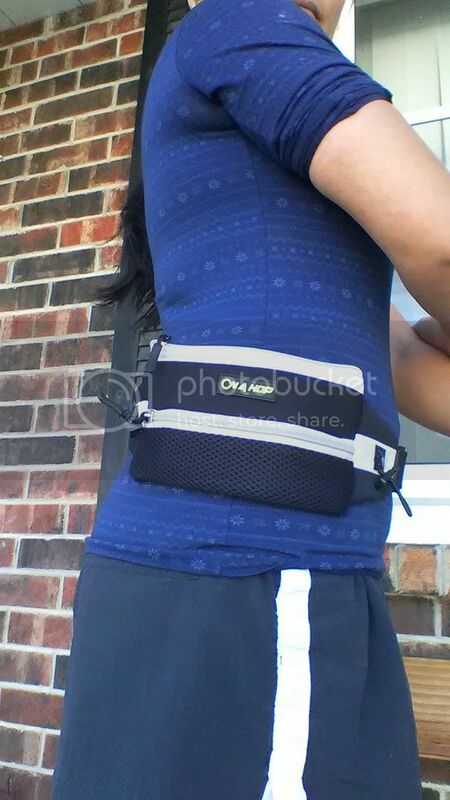 This running belt has a mesh pocket where I can put some coins or lotion in. Also, it will allow me to listen to music while walking, there is a hole at the back of the belt that will let the headset cord in to connect to my phone. It has reflective strips so on coming cars will be able to see me at night and avoid any accident. 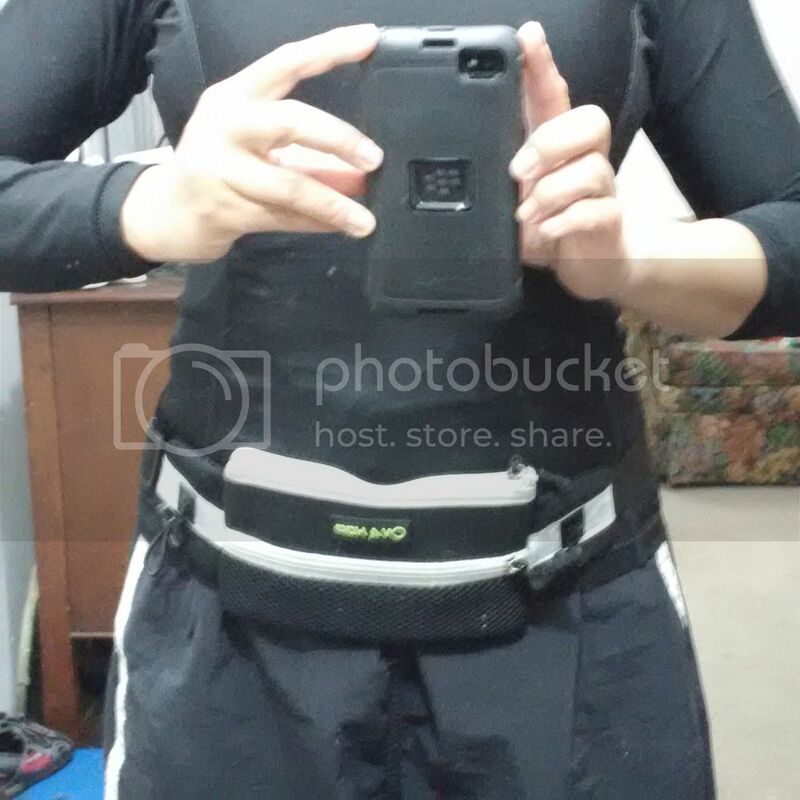 I find the straps easy to adjust and put on, snugly wraps around my hips and does not move. The only thing is that I was not able to fit my cars keys, I usually have 8 keys on my key chain. I think if you only have 2-3 it won't be an issue. It is also water resistant so if I am sweating my items are securely dry. Disclosure: I received the product for free from Onahop in exchanged of my honest review. All opinions stated were my own.